This may be old news to you by now if you’re a dedicated Oliver + S follower on Twitter and/or Facebook (and, if you’re not, why not? ), but in the last week we’ve re-released three of our previously out-of-print patterns as digital downloads. 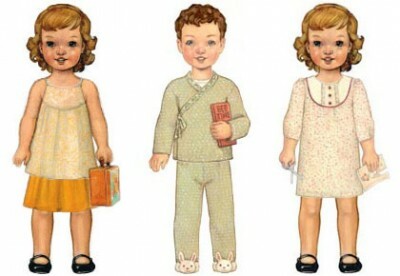 The Swingset Tunic + Skirt, Bedtime Story Pajamas, and Playdate Dress patterns have all been out of print for over a year, and we’ve had several requests to bring each of them back. We’re glad to be able make them available again. Over the next few days, we’ll be featuring examples from each of these patterns as our Flickr photo of the day on the Oliver + S Facebook page. Like us on Facebook to see them show up in your news feed. YAY! I had seen the bedtime story and playdate releases but not the swingset. I’ve been wanting to try that one. Thank you! So excited to see this. I have the bedtime story pattern in the smaller size and love it. I really wished I’d bought the larger size too so very happy with this.